The fast-growing town of Harrisburg lies at the heart of NASCAR country, where speed junkies and car enthusiasts congregate. Witness some of the biggest events in motorsports and racing right here. Located in Uptown Charlotte, less than 30 minutes away from Harrisburg, the NASCAR Hall of Fame is a first-rate entertainment venue dedicated to the motorsport organization’s history and heritage. It opened its doors to the public in 2010 with the aim of entertaining and educating race enthusiasts and regular visitors. The NASCAR Hall of Fame complex is also home to the NASCAR Plaza Office Tower, the Crown Ballroom, and a parking garage with over 1,000 car slots. Numerous events take place here throughout the year. These include the Racing Insiders Tour, which gives guests access to Charlotte’s racing community. You can buy tickets and combo packages here. Formerly known as Lowe’s Motor Speedway, this premier motorsports complex is located in Concord, less than 20 minutes away from Harrisburg. It is widely regarded as “The Greatest Place to See the Race” and “The Mecca of Motorsports”. At about 2,000 acres, the complex features a road course, karting layout, and oval enclosed within the 1.5-mile superspeedway’s walls. 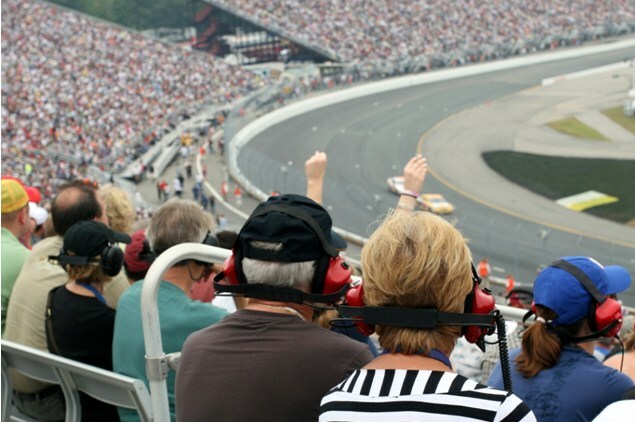 It hosts high-profile racing events like the Monster Energy NASCAR Cup Series, the NASCAR Xfinity Series, and the NASCAR Camping World Truck Series. Other highlights include Legend Cars and Bandoleros, a weekly short-track event; the World Karting Association’s local and international races; and regional and national competitions held by various car clubs. The complex also hosts the largest swap meets and car shows in the country, such as the annual Goodguys Southeastern Nationals, which takes place in October, and the bi-annual AutoFairs, which takes place in April and September. Click here for more information on tickets and events. There’s more to living in Harrisburg than motorsports and racing events. The town brings you close to a wide range of family-friendly attractions and shopping options, many of which are just 10 minutes away. Great Wolf Lodge is an indoor water park featuring play structures like slides, totem towers, lily pads, wave pools, and activity pools, just to name a few. Go swimming or play water basketball with friends and family in any weather. SEA LIFE Aquarium offers interactive exhibits and showcases the marine creatures that call this place home. The freshwater exhibit features aquatic species that can be found in local lakes and rivers, while the harbor exhibit features baby stingrays and other fascinating creatures. Concord Mills is a 1.4 million-square foot mall housing your favorite brands. Shop at Adidas, Gap, and Forever 21, and refuel at restaurants that serve seafood, steak, and pizza. For more information on Harrisburg, visit their website.